Cosmology is the study of the Universe and its components, how it formed, how its has evolved and what is its future. Modern cosmology grew from ideas before recorded history. Ancient man asked questions such as "What's going on around me?" which then developed into "How does the Universe work? ", the key question that cosmology asks. To religious studies, cosmology is about a theistically created world ruled by supernatural forces. To scientists, modern cosmology is about developing the most complete and economical as possible understanding of the Universe that is consistent with observations elucidated by natural forces. We will primarily explore the latter type of cosmology in this course. Many of the earliest recorded scientific observations were about cosmology, and pursue of understanding has continued for over 5000 years. Cosmology has exploded in the last 20 years with radically new information about the structure, origin and evolution of the Universe obtained through recent technological advances in telescopes and space observatories and basically has become a search for the understanding of not only what makes up the Universe (the objects within it) but also its overall architecture. Modern cosmology is on the borderland between science and philosophy, close to philosophy because it asks fundamental questions about the Universe, close to science since it looks for answers in the form of empirical understanding by observation and rational explanation. Thus, theories about cosmology operate with a tension between a philosophical urge for simplicity and a wish to include all the Universe's features versus the total complexity of it all. Cosmology is as old as humankind. Once primitive socal groups developed language, it was a short step to making their first attempts to understand the world around them. Very early cosmology, from Neolithic times of 20,000 to 100,000 years ago, was extremely local. The Universe was what you immediately interacted with. Cosmological things were weather, earthquakes, sharp changes in your environment, etc. Things outside your daily experience appeared supernatural, and so we call this the time of Magic Cosmology. The earliest physical evidence of astronomical and cosmological thinking is a lunar calendar found on a bone fragment in Sub-Saharan Africa dated at about 20,000 BC. Late megalithic structures with astronomical purpose appear in Africa and Europe around 5,000 BC (primitive versions of the famous Stonehenge complex in Britain). It is important to note that these structures and technologies were constructed by numerous different cultures which had had no contact with each other. In other words, the conclusions they reached about the cosmos were universal and the people of time were willing to commit significant resources to express these ideas. Early people projected their own inner thoughts and feelings into an outer animistic world, a world where everything was alive. Through prayers, sacrifices and gifts to the spirits, human beings gained control of the phenomena of their world. This is an anthropomorphic (magic) worldview, of the living earth, water, wind and fire, into which men and women projected their own emotions and motives as the guiding forces, the kind of world one finds in fantasy and fairy tales. The earliest recorded astronomical observation is the Nebra sky disk from northern Europe dating approximately 1,600 BC (see above). 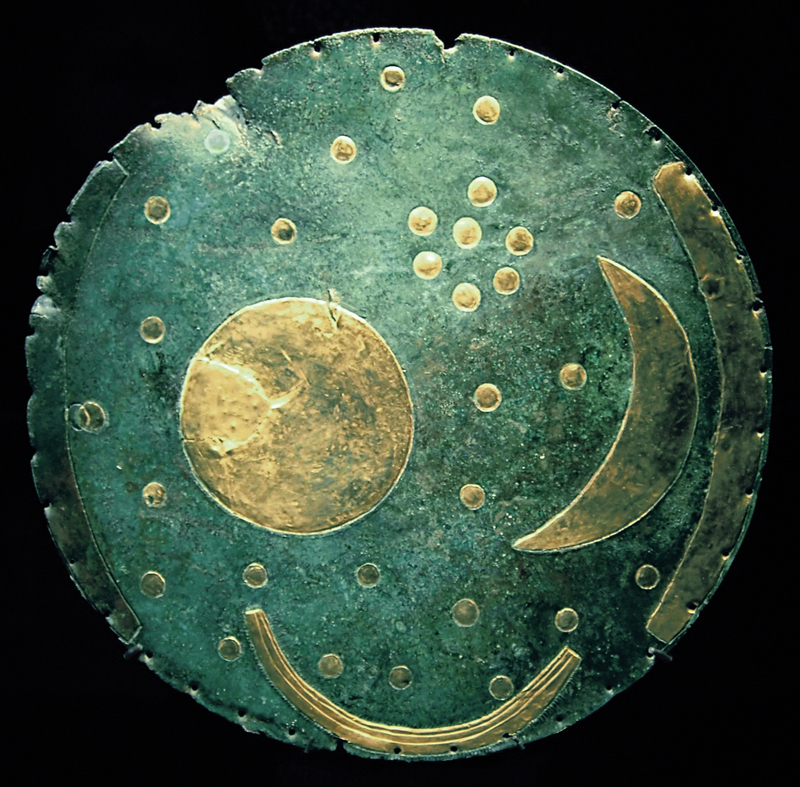 This 30 cm bronze disk depicts the Sun, a lunar crescent and stars (including the Pleiades star cluster). The disk is probably a religious symbol as well as a crude astronomical instrument or calendar. In the Western hemisphere, similar understanding of basic stellar and planetary behavior was developing. For example, Native American culture around the same time were leaving rock drawings, or petroglyphs, of astronomical phenomenon. 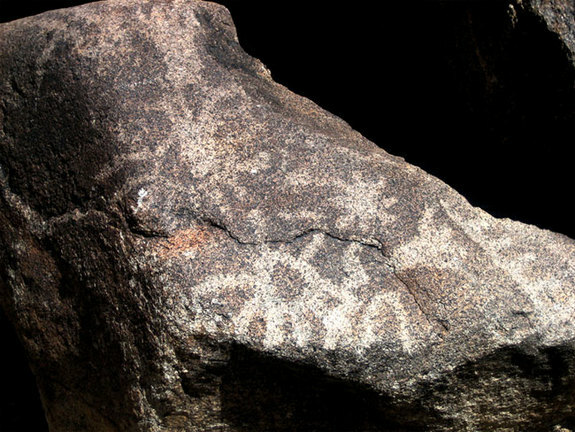 The clearest example is found below, a petroglyph which depicts the 1,006 AD supernova that resulted in the Crab Nebula. Later in history, 5,000 to 20,000 years ago, humankind begins to organize themselves and develop what we now call culture. A greater sense of permanence in your daily existences leads to the development of myths, particularly creation myths to explain the origin of the Universe. Most myths maintain supernatural themes, with gods, divine and semi-divine figures, but there was usually an internal logical consistence to the narrative. Myths are often attempts at a rational explanation of the everyday world, their goal is to teach. Even if we consider some of the stories to be ridiculous, they were, in some sense, our first scientific theories. They also closely follow a particular religion, and this time is characterized by a close marriage of science and religion. We call this the time of Mythical Cosmology. In the region now know as the Mideast, about 5,000 years ago humankind begins to organize themselves and develop the great Bronze Age cultures. These first great civilizations (clustered about the Nile and Euphrates rivers) gave the common man a greater sense of permanence to their daily existences. This leads to the development of myths, particularly creation myths, to explain the origin of the Universe. Today, we divide the study of cosmology into cosmogony, the study of the creation of the Universe, versus cosmology, the study of the structure and evolution of the Universe (and its destiny). 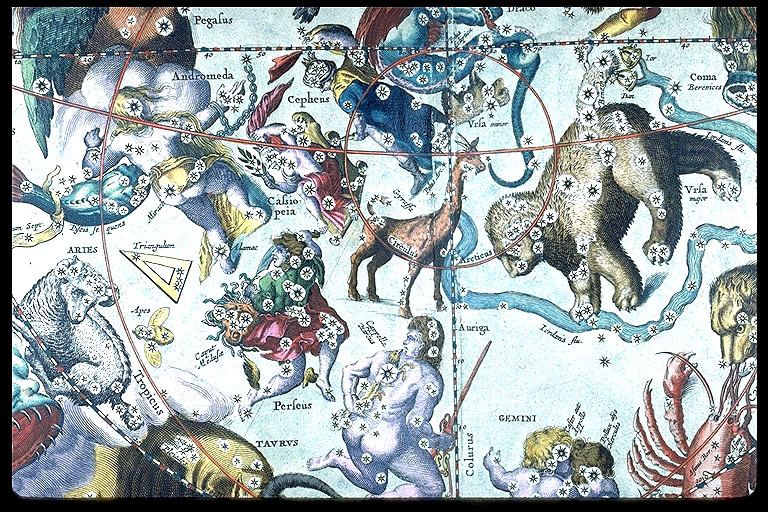 Many of these early creation myths were first attempts at a logical, consistent cosmogony. Historians tend to exaggerate the capabilities of ancient Egyptians, when, in fact, they were a practical culture. 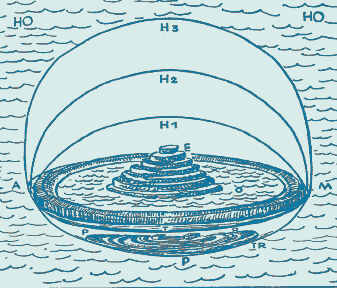 The development of cosmology in ancient Egypt followed practical lines. Early man's impressions of the night sky formulated into various myths which then later became the core of Egyptian religion. Since its principal deities were heavenly bodies, a great deal of effort was made by the priesthood to calculate and predict the time and place of their god's appearances. These skills led to the division of the day and night into twelve sections each, the development of a lunar calendar and the development of a solar calendar of 12 30-day months with a special 5-day unit to bring the total to 365 days. Early Egyptians impressions of the night sky formulated into various myths which then later became the core of Egyptian religion. Since its principal deities were heavenly bodies, a great deal of effort was made by the priesthood to calculate and predict the time and place of their god's appearances. Because the sun god, Ra, was the pre-eminent god, the annual solar motion along the horizon was a key astronomical observation for the Egyptians. The timing and position of the northernmost and southernmost turning points, the solstices, ultimately fixed the mythology of Egyptian cosmology. Egyptian legend declares that the sky goddess Nut gives birth to Ra once a year, catalysing both calendar development and the concept of divine royalty plus the matrilineal inheritance of the throne. Nut is often portrayed as a naked female stretched across the sky. The Sun (Ra) is shown entering her mouth, passing through her star speckled body and emerging from her birth canal nine months later (from the spring equinox to the winter solstice). Thus, Ra becomes a self-creating god, i.e. the Universe is self-creating and eternal. By the Old Kingdom, the astronomical/religious zeal of the pharaohs is reflected in the construction of massive pyramids at Giza. Their shape reflects the manner in which clouds and dust scatter sunlight into broad swaths forming stairways to heaven. These were stone pathways to the gods and were oriented to reach the immortal ones, i.e. the northern circumpolar stars. Perhaps the earliest of the combination of mythical and theological ideas is found in the Mesopotamian civilizations (divided into the Old Babylonian, Assyrian, New Babylonian and Late Babylonian periods). The Babylonian myths centered on plurality of the heavens and earth with a six-level universe consisting of three heavens and three earths: two heavens above the sky, the heaven of the stars, the earth, the underground of the Apsu, and the underworld of the dead. The Earth was created by the god Marduk as a raft floating on fresh water (Apsu) surrounded by a vastly larger body of salt water (Tiamat). The gods were divided into two pantheons, one occupying the heavens and the other in the underworld. Babylonian astronomy is noted for their detailed, and continuous, records of astronomical phenomenon such as eclipses, positions of the planets and rise and setting of the Moon. These records date back to 800 B.C. and are the oldest scientific documents in existence. The purpose of this activity was clearly astrological with the aim of forecasting the fortunes of the country as well as of the king. In addition to records, Babylonian astronomers also developed several arithmetic tools to aid in the prediction of eclipses and planetary motion. However, while their record keeping was a novel technology for the time, and their system of stellar names and measurement system was passed onto later civilizations, the Babylonians never developed a cosmological model in which to interpret their observations. Greek astronomers will achieve this goal using the Babylonian data. 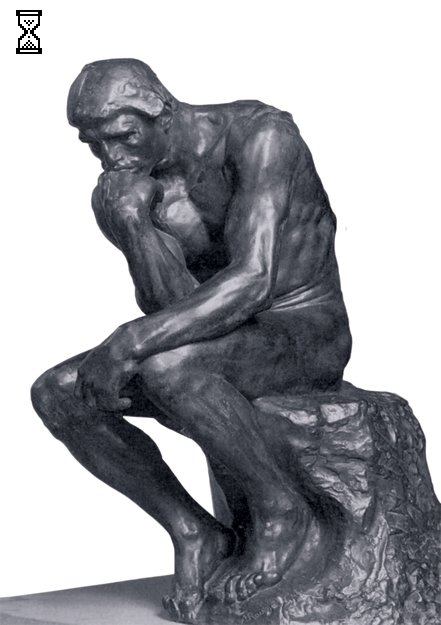 Perhaps one of the greatest influences on modern thought are the ideas that arose from Greek philosophy between 600 BC and start of the Roman Empire. The works of scholars from this era will influence philosophers and scientists into the 21st century and many of our modern cosmological frameworks have their root in ancient Greek ideas. While many of our first cosmologies were based on myths and legends, it is the Greek philosophical tradition that introduces an intellectual approach based on evidence, reason and debate. While many of their ideas barely qualify as scientific theories, their reliance on mathematics as a tool to understand the Universe remains to this day. The third stage, what makes up the core of modern cosmology, grew out of ancient Greek, later adopted by the Church. The underlying theme in Greek science is the use of observation and experimentation to search for simple, universal laws. We call this the time of Geometric Cosmology. The struggle to formulation a Geometric Cosmology led to the development of the biggest philosophical achievement of humankind, the philosophy of science. Indirectly, through an examination of our myths and creation stories, we developed the ideas and techniques that later would become the core ideas to this thing we call science. Central to Greek cosmology is the belief that the underlying order of the Universe can be expressed in mathematical form lies at the heart of science and is rarely questioned. But is mathematics a human invention or does it have an independent existence? Idealization of physical phenomenon led Plato to hypothesize that there were two Universes, the physical world and an immaterial world of `forms', perfect aspects of everyday things such as a table, bird, and ideas/emotions, joy, action, etc. The objects and ideas in our material world are `shadows' of the forms (see Plato's Allegory of the Cave). This solves the problem of how objects in the material world are all distinct (no two tables are exactly the same) yet they all have `tableness' in common. There are different objects reflecting the `tableness' from the Universe of Forms. Thus, there came into existence two schools of thought. One school is attributed to Plato, and finds that Nature is a structure that is precisely governed by timeless mathematical laws. According to Platonists we do not invent mathematical truths, we discover them. The Platonic world exists and physical world is a shadow of the truths in the Platonic world. This reasoning comes about when we realize (through thought and experimentation) how the behavior of Nature follows mathematics to an extremely high degree of accuracy. The deeper we probe the laws of Nature, the more the physical world disappears and becomes a world of pure math. The other school held that mathematical concepts are mere idealizations of our physical world. The world of absolutes, what is called the Platonic world, has existence only through the physical world. In this case, the mathematical world is the same as the Platonic world and would be thought of as emerging from the world of physical objects. Note that mathematics plays a key role in both worldviews. Mathematics transcends the physical reality that confronts our senses. The fact that mathematical theorems are discovered by several investigators indicates some objective element to mathematical systems (supporting Plato's view). But, since our brains have evolved to reflect the properties of the physical world, it is of no surprise that we discover mathematical relationships in Nature. Both Plato and Pythagoras influenced the first logically consistent cosmological worldview, developed by the Greeks in the 4th century B.C. 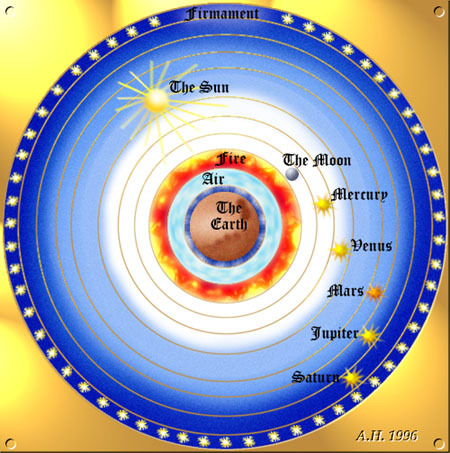 This early cosmology was an extrapolation of the Greek theory of matter proposed by Empedocles. This theory states that all matter in the Universe is composed of some combination of four elements: Earth, Water, Fire, Air. These four elements arise from the working of the two properties of hotness (and its contrary coldness) and dryness (and its contrary wetness) upon an original unqualified or primitive matter. The possible combinations of these two properties of primitive matter give rise to the four elements or elemental forms. Perhaps only a culture whose leaders were involved with logic and geometry would put the concepts of chemistry in such a logical and geometric form. Fire and Water are obvious opposites, and so are Earth and Air. These opposites share no common properties. There are four properties, each shared by two non-opposite elements: fire and air share the property of hotness, water and air the property of wetness, and so on. Since the four elements are two pairs of opposite elements, so also are the four properties - hotness being the opposite of coldness and wetness the opposite of dryness. Each of the four elements was held to exist in an ideal pure form, which could not actually be found on earth. The real things around us were considered impure, or mixed, forms of these four ideal elements. Thus the different airs, or gases, were the form of air mixed with different proportions of the forms of fire or water; smoke was a mixture of the forms of air and earth with some of the form of fire added. But there was an ideal or pure form of earth, air, fire, and water, and the real ones which we see and use were not ideal but of lesser purity. In other words, the real or observed different kinds of the same element are due to different degrees of the same properties. The elements could be changed into one another by removal of one property and addition of another. In a seemingly unrelated discovery, Euclid, a Greek mathematician, proved that there are only five solid shapes that can be made from simple polygons (the triangle, square and pentagon). Plato, strongly influenced by this pure mathematical discovery, revised the four element theory with the proposition that there were five elements to the Universe (earth, water, air, fire and quintessence) in correspondence with the five regular solids. 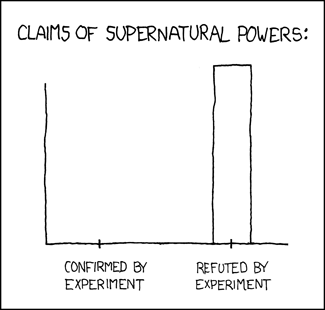 Like any good scientific model, this one offers explanations and various predictions. For example, hot air rises to reach the sphere of Fire, so heated balloons go up. Note that this model also predicts some incorrect things, such as all the planets revolve around the Earth, called the geocentric theory. The geocentric cosmology becomes the first of many anthropocentric universes, ones where humankind's special nature in the animal world leads to the idea that the Universe is designed for us, or by us.